Despite DC winning the 'event book war' and having two doses of Grant Morrison's Batman and Robin in the Top 6, Marvel extended it's sales gap over the Distinguished Competition, from 7.67% to 11.05% (unit share). For the full wrap-up click here. Step back a decade and it's a completely different world! 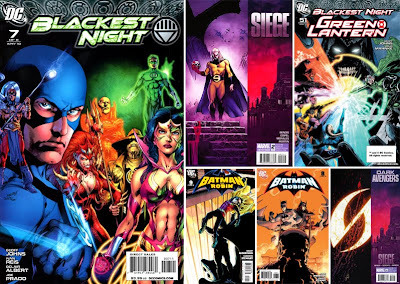 DC has only one Top 6 slot, there's a Top Cow book, and the X-Men still held the market in a vice - with yet another x-over. 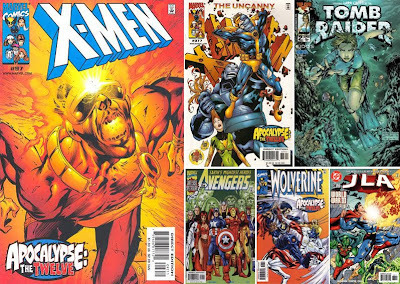 2000 TOP 6: 1) X-Men #97, 2) Uncanny X-Men #377, 3) Tomb Raider #2, 4) Avengers #25, 5) Wolverine #147, 6) JLA #381.